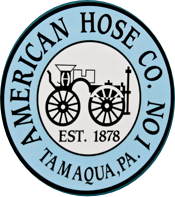 American Hose Co.# 1 proudly protects the borough of Tamaqua jointly with the Citizens Fire Co# 1. Established in 1878, the company has a rich history including operating from the same firehouse since 1885 and the appointment of a “police force” in 1881 to provide salvage operations and safeguarding of valuables on the fire scene. 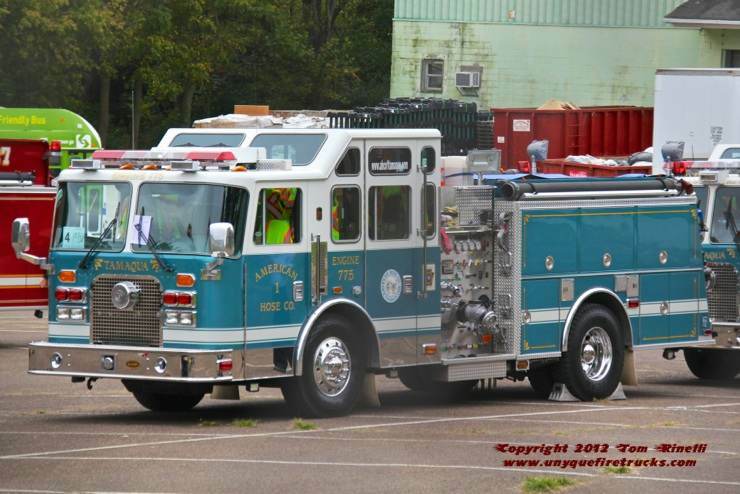 Engine 776 - 2006 KME 1750 gpm/750 gal. Responding first due, Engine 776 is equipped with a Stokes basket, PPV fan, Cutters Edge ventilation chainsaw and cribbing for vehicle stabilization. It is painted “1968 Cadillac Blue”, the color of all the company’s apparatus since the delivery of their classic 1971 Mack CF engine. 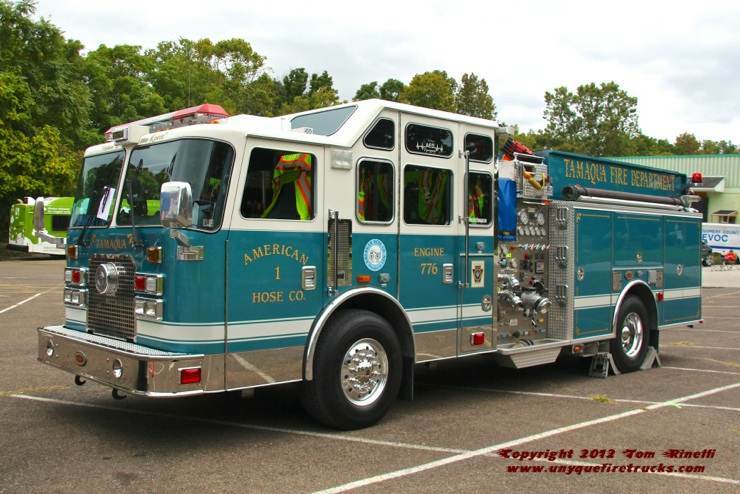 Engine 775 - 1997 KME 1250 gpm/750 gal.